Dry eyes are a common condition that occurs when your lacrimal glands don’t produce enough tears to provide adequate lubrication for your eyes. Artificial tears are definitely a convenient remedy, but choosing the right product when there are so many brands and formulations to choose from can be a bit challenging. Certain nutrients such as vitamin A and omega-3 fatty acid are potentially helpful for dry eyes, too. You may want to consume more liver, carrots, or broccoli for vitamin A; and some salmon, tuna, or walnuts for omega-3s. Dry eyes can also be associated with diabetes, which restricts blood circulation in the lacrimal glands. Less lacrimal fluid means less tears and dryer eyes. 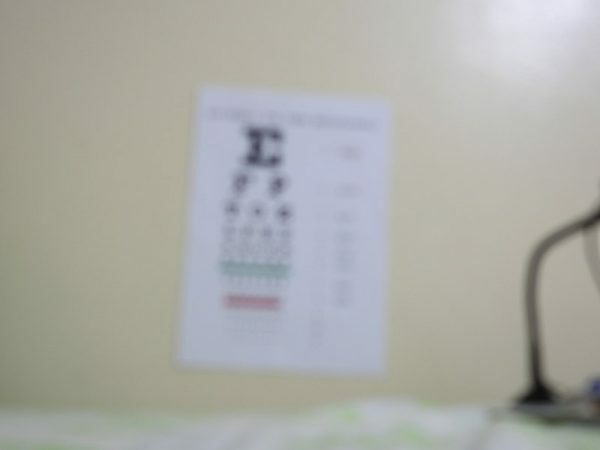 People may experience having good or bad vision days. One day, we may see things more sharply and clearly than normal, but the next day, that clarity seems gone, and our eyes feel tired and blurry. Such fluctuation is usually caused by sleep deprivation, which reduces your body’s ability to refill tears that keep the surface of the eyes smooth and clear. However, it can also be a result of diabetes. When blood sugar levels are out of control, the lining of those tiny, vulnerable blood vessels in the eyes can be damaged, leading to changes in vision known as diabetic retinopathy. In fact, a 2014 study that involved more than 100 diabetics suggests that 73% of the participants experienced diabetic retinopathy. Many people experience age-related decline in eye performance. They find themselves reading books or newspapers closer and closer or farther away to see the letters, eventually requiring reading glasses. These gradual changes in vision usually occur over a period of months or years and are regarded as normal. But sudden changes in vision are a different story. If your vision suddenly worsens dramatically, it may signify serious health conditions. Multiple sclerosis (MS) (an immune disorder often associated with inflammation along the optic nerve connecting the eyes to the brain) can lead to sudden, blurry sight or loss of color vision. Brain tumors that put excess pressure on the optic nerve can also make vision suddenly poor. Dooping eyelids, also called ptosis, is a condition where the border of the upper eyelid falls to a position much lower than normal. 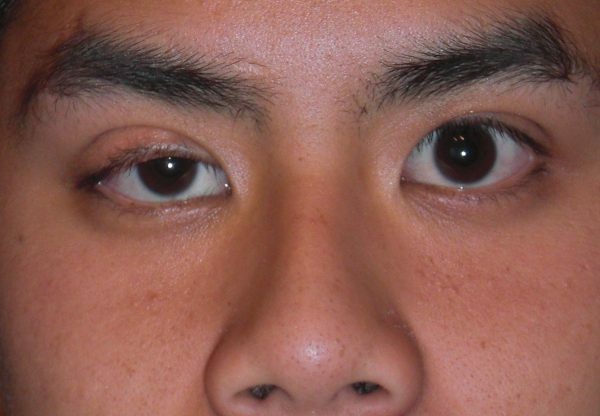 While some people are born with ptosis, it can also be gradually developed over years. Sometimes, ptosis is no more than a harmless annoyance that only affects your vision and appearance. 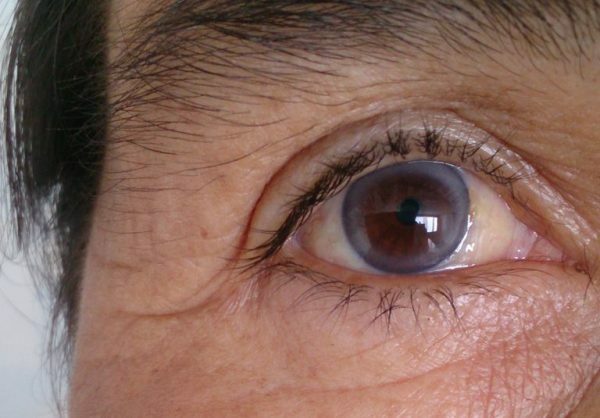 In other cases, though, it can be a warning sign of severe health issues including myasthenia gravis (MG), a neuromuscular disorder which not only causes muscle weakness in the eyelids but also in the other parts of the body. 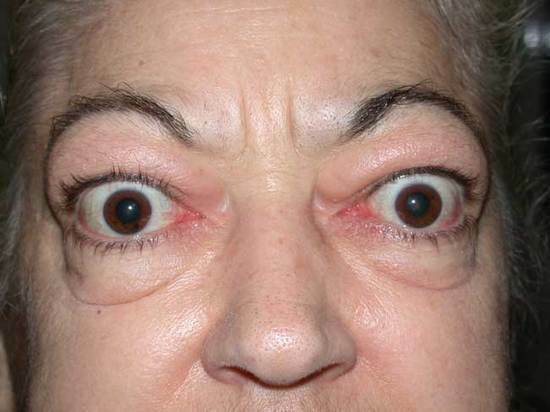 The abnormal bulging of one or both eyes is called exophthalmos. The most common cause of which is Grave’s disease, an autoimmune disorder that affects the thyroid gland, which, located at the base of your neck, is a small organ that helps control your metabolism by regulating several hormones. Bodies affected by Grave’s disease begin producing excess stimulating proteins that cause the thyroid gland to become overactive. As a result, the thyroid gland enlarges, and excess hormones increase metabolism, causing muscles and fatty tissues behind and around the eyes to become inflamed and push the eyeballs forward. 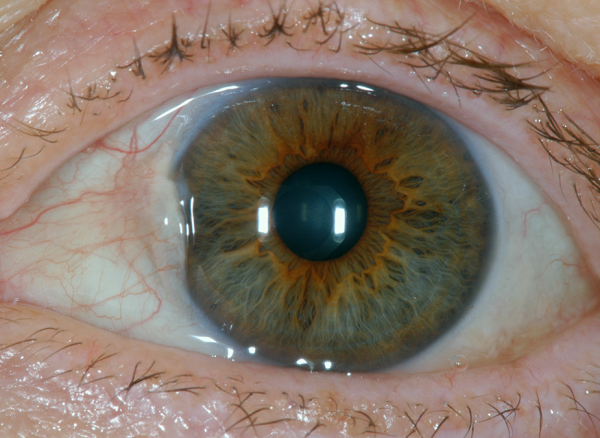 It occurs when fat deposits from blood, lipids, accumulate around the outer part of the cornea. While the greyish coloration itself doesn’t deteriorate vision or harm the eye, it is typically associated with higher cholesterol levels and is tends to mirror a higher risk of heart attack and stroke. As people get older, their hair generally gets thinner and more sparse, and this also occurs in our eyebrows. Yet, in some cases, thinning eyebrow hair also occurs as a result of thyroid disease. As mentioned previously, when the thyroid gland fails to maintain balanced hormone levels, a number of the body’s normal processes, including hair growth, may be disrupted. Disordered eating and iron deficiency are sometimes blamed for thinning brows, too. Try eating a relatively healthy, consistent diet with plenty of iron-rich foods like sardines and tofu not only to save your beautiful, full brows but also to boost your overall health. Normally, the size of the pupils is the same in both eyes. But some people may find one of their pupils noticeably larger than the other. Formally called anisocoria, unequal pupil sizes is entirely harmless as an isolated condition. Approximately 20 percent of the general population has it, so it’s not even that rare. If accompanied by other certain symptoms, though, anisocoria can be a sign of health problems that should be taken seriously. 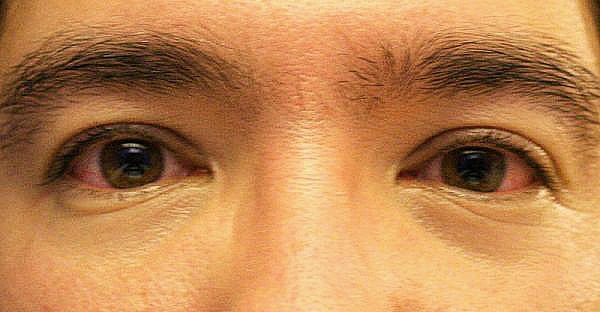 For example, Horner’s syndrome is known for causing both droopy eyelids and a smaller pupil in the affected eye. Although Horner’s syndrome isn’t life-threatening, it is sometimes associated with aneurysms or tumors in the neck. 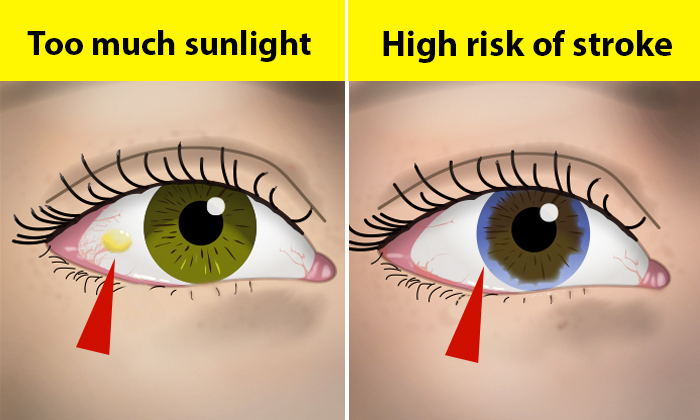 Having a yellowish bump, called a pinguecula, that sometimes grows on the white part of the eye means you’re probably getting too much sunlight exposure, and ultra-violet rays from the sun is thought to be the primary cause. Pingueculae are more common in middle-aged or older adults who spend a lot of time working in the sun. But they can also occur in younger people, especially those who spend time outdoors without sunglasses. They can be removed with surgery, but usually they don’t require treatment. 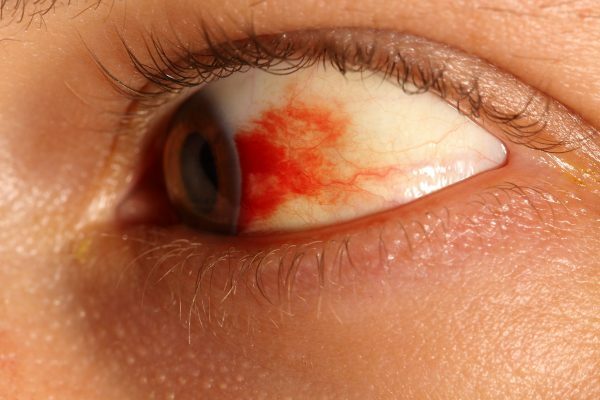 The medical term for having blood in eye is “subconjunctival hemorrhag,” which simply means a broken blood vessel under the conjunctiva (the clear surface of the eye). Since conjunctiva can’t absorb the blood very quickly, blood gets stuck there for a while. Horrifying as it may look, subconjunctival hemorrhage does not harm the eyes. In fact, the tiny blood vessels are so vulnerable that they can burst when you cough or laugh hard enough. The redness will typically go away in a week or two without any treatment required. To prevent scaring the people around you with blood-red eyes, though, you may want to increase your vitamin K intake to improve your body’s blood-cotting ability. Foods such as blueberries, lettuce, and asparagus are good sources of vitamin K, as well. Regardless of the type, diabetics have a 25 percent higher risk of vision loss, compared to the general population without diabetes. Your vision doesn't need to get worse just because you're getting older. Childhood trauma has a devastating impact on both the mind and the body. But that mind-body connection also offers a path toward healing.